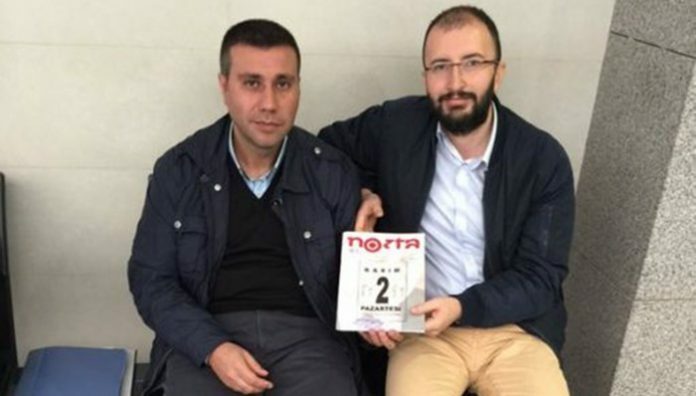 A court in İstanbul has handed down a sentence of 22 years, six months to both Cevheri Güven and Murat Çapan, top editors of the Nokta magazine, Milliyet reported on Monday. Nokta, which specialized in in-depth investigative reporting, was closed on July 27, 2016, along with 130 other media outlets by government. An indictment prepared by an İstanbul prosecutor in April seeks three consecutive life sentences on coup charges for 30 individuals who include journalists and executives from the now-closed Zaman daily. The Zaman daily, which was affiliated with the Gülen group, was first seized by the Turkish government in March 2016 and then closed down by government decree in the aftermath of a failed coup attempt on July 15, 2016. Last week, the İstanbul Chief Public Prosecutor’s Office issued detention warrants for the owner Burak Akbay and reporter Gökmen Ulu as well as executives Melda Olgun and Yonca Kaleli of leading opposition newspaper Sözcü over alleged links to the Gülen group, which is accused by the Turkish government of masterminding a failed coup attempt on July 15. The European Union on Friday expressed worries about an operation in İstanbul targeting Sözcü. Last Monday Cumhuriyet’s website editor Oğuz Güven, who was detained on May 12 for a report that appeared on the daily’s website about the recent traffic death of Denizli Chief Prosecutor Mustafa Alper in Turkey’s western province of Denizli, was arrested by an Istanbul court. According to a report issued by the Turkish Journalists Association (TGC) on Friday, some 123 Turkish journalists are fugitives abroad, while 159 of them were in jail as of the end of April. Amnesty International recently projected the names of imprisoned Turkish journalists onto the facade of the Turkish Embassy in The Hague. AI also launched a campaign on Twitter late in March to support jailed journalists in Turkey, calling for their release, with the hashtag #FreeTurkeyMedia. Turkey is ranked 155th among 180 countries in the 2017 World Press Freedom Index released by Reporters Without Borders (RSF) on April 26. The US-based Freedom House, an independent watchdog organization dedicated to the expansion of freedom around the world, named Turkey as among the countries that have a “not free” press, in a report released on April 28. According to “Freedom of the Press 2017,” the Turkish government, using enhanced powers under a state of emergency, carried out a massive purge of media outlets accused of links to the attempted military coup in July.